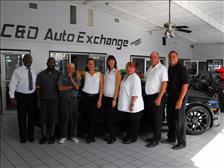 In January 2008, We established C&D Auto Exchange Inc. in Cape Coral Florida. Our mission was to provide a better and easier way to purchase a pre-owned vehicle that our customers would enjoy and be proud to drive. Hence our motto "Buy Better Drive Better". With one car we started our journey in 2008 and currently have over one hundred fifty cars between our two locations. Our mission continues today but with a new focus. Which is "Buy With Confidence". With our limited warranty which we provide with our vehicles we stand behind your purchase and look forward to continuing to serve you and your family throughout your vehicle needs. In our efforts to improve our service we will continue to provide the best product possible. 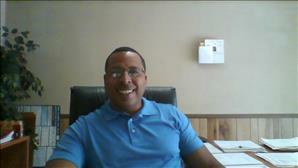 We look forward to your future visit to our dealerships and appreciate you visiting our page. From the moment you step on our lot until the time you drive away in your next car, your buying experience with C & D Auto Exchange is our number one priority. We encourage you to use the expertise and resources of our sales staff; they are here to help you find the right car at the right price. Call us today at 239-288-7701 to schedule your test drive!